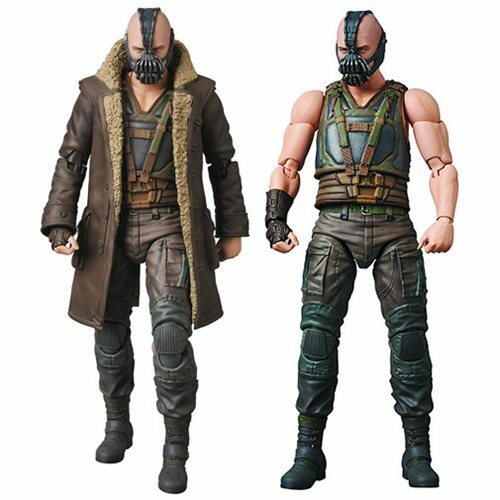 Bane from The Dark Knight Rises movie, gets the MAFEX figure treatment! He stands about 6 1/3-inches tall, and his coat can be removed. Interchangeable arm parts are also included with coat sleeves or without. He also comes with a pair of broken Batman cowls and extra hands, as well as a base with a posing arm. Ages 15 and up.